Your One Stop Collision Repair Shop! Our Techs Are I-Car Gold Certified! 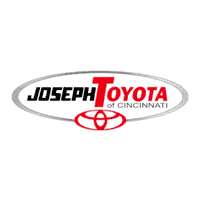 If there’s one thing we know at Joseph Toyota of Cincinnati, it’s that the drivers we serve from Cincinnati, Fairfield, Miamisburg, Mason, OH, and Florence, KY love showing off their Toyota Corolla, Camry, RAV4, Highlander, 4Runner and Prius vehicles. That’s why our dealership features a highly trained auto body and collision repair shop. With a focus on restoring factory finishes in an efficient manner, they’re known for eradicating unsightly blemishes that can prevent your car from achieving its full visual impact. If you’re interested in seeing what we can do for your car, be sure to fill out our body shop appointment form today. We’ll confirm the details of your appointment, and you’ll be one step closer to falling in love with your car all over again. Want to make sure your car’s performance matches its looks? Be sure to visit our service department for all of your maintenance needs.